When: April 12, 7:30 a.m.-2:30 p.m.
April 13, 7:30 a.m.-6:30 p.m.
April 14, 7:30 a.m.-4 p.m.
April 15, 7:30 a.m.-1:30 p.m. The World Long Drive is back. Ak-Chin Smash in the Sun is April 12-16 on the field at Ak-Chin Circle next to UltraStar Multi-tainment Center. The competition starts with an Open Division of 32 and a Women’s Division of 16. Last year, Will Hogue of Tennessee won the Open Division with a drive of 421 yards, and Phillis Meti of New Zealand won the Women’s Division with a drive of 380. 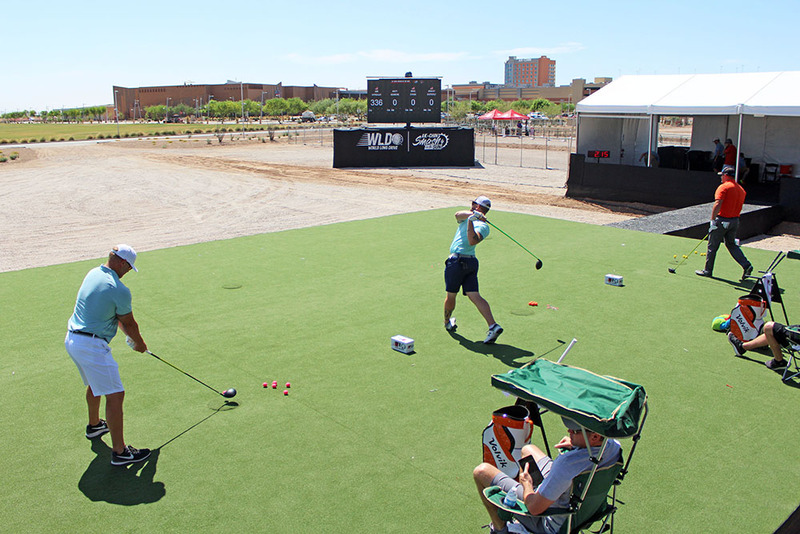 Ak-Chin Southern Dunes is partnering with World Long Drive Association for the event. Competition starts at 7:30 a.m. each day. By the last day, April 16, there will be eight men and four women competing in the finale, which will be televised live on The Golf Channel from 1 to 3 p.m.
“This year we have an extra day of qualifying,” Ak-Chin Southern Dunes General Manager Brady Wilson said. Golf fans can come out and watch for free and enjoy shaded stadium seating. Wilson said there is a lot of excitement in the early rounds, when up to four competitors are driving golf balls at the same time. This year, the event has moved from May to April, putting it first on the tour. He said the agronomy team of Dan Payson and Wes Hamer have the grid looking great. He credited Brittany Sourjohn with the smooth running of last year’s event and said she has been excellent at dealing with the many moving part that make up this year’s Smash. Organizers also need volunteers for grandstand attendants, runners/floaters, hospitality, retail and player registration. Volunteers must be age 18 and up. Contact Amanda at ARoninger@ak-chin.nsn.us. The five-day competition is two events. One is a regional qualifier for the Volvik World Long Drive Championship in Oklahoma in Aug. 30-Sept. 4. Anyone can try out, Wilson said. The other event is the Smash in the Sun Tour Event. In addition, there will be a Masters Division on Saturday for age 45 and up.